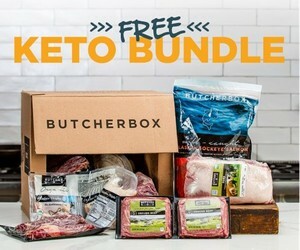 Disclosure ~ This awesome keto post contains awesome keto affiliate links. • Fats and Oils. Try to get your fat from natural sources like meat and nuts. Supplement with saturated and monounsaturated fats like coconut oil, butter, and olive oil. • Protein. Remember that too much protein on a ketogenic diet is not a good thing. o Fish. Anything that is caught wild like catfish, cod, flounder, halibut, mackerel, mahi-mahi, salmon, snapper, trout, and tuna. Fattier fish is better. o Shellfish. Clams, oysters, lobster, crab, scallops, mussels, and squid. o Whole Eggs. You can prepare them in many different ways like fried, deviled, boiled, poached, and scrambled. o Beef. Ground beef, steak, roasts, and stew meat. Stick with fattier cuts where possible. o Pork. Ground pork, pork loin, pork chops, tenderloin, and ham. Watch out for added sugars and try to stick with fattier cuts. o Poultry. Chicken, duck, quail, pheasant and other wild game. o Offal/Organ. Heart, liver, kidney, and tongue. Offal is one of the best sources of vitamins/nutrients. o Other Meat. Veal, Goat, Lamb, Turkey and other wild game. Stick with fattier cuts where possible. o Bacon and Sausage. Check labels for anything cured in sugar, or if it contains extra fillers. Don’t be overly concerned with nitrates. o Nightshades. This includes tomato, eggplant, and peppers. o Root Vegetables. This includes onion, parsnip, garlic, mushrooms, and squash. o Berries. This includes raspberries, blackberries, and blueberries. o Citrus. This includes lemon, lime, and orange juice (or zest) in water and in recipes. o Completely avoid starchy vegetables and large fruits like potatoes and bananas. o Spreadable items including cottage cheese, cream cheese, sour cream, mascarpone, crème fraiche, etc. o Soft Cheese including mozzarella, brie, blue, Colby, Monterey jack, etc. o Hard Cheese including aged cheddar, parmesan, feta, Swiss, etc. o Fatty, low carbohydrate nuts. Macadamia nuts, brazil nuts, and pecans can be consumed with meals to supplement fat. o Fatty, moderate carbohydrate nuts. Walnuts, almonds, hazelnuts, peanuts, and pine nuts can be used in moderation to supplement for texture or flavor. o Water. This will be your staple, go-to source for hydration. You can drink tap, bottled or sparkling water. o Broth. Loaded with vitamins and nutrients. More importantly, it will kick start your energy by replenishing your electrolytes. o Coffee. Improves mental focus and has some added weight loss benefits. o Tea. Has the same effect as coffee. Try to stick with black or green. o Coconut/Almond milk. You can use the unsweetened versions in the carton from the store to replace your favorite dairy beverage. o Diet soda. Try to severely reduce or completely stop drinking this. It can lead to sugar cravings and sometimes insulin spikes in the long run. o Flavoring. The small packets that are flavored with sucralose or stevia are fine. You can alternatively add a squeeze of lemon, lime, or orange to your water bottle. You can also grab yourself some Atkins which is Keto/Low Carb friendly.